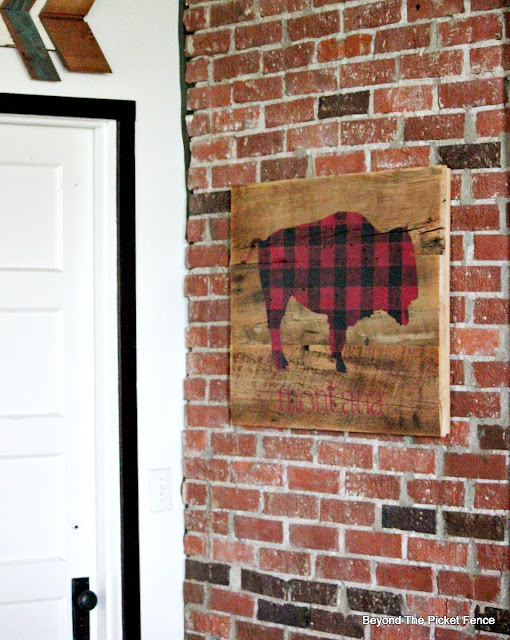 Oh, how I love this buffalo check stencil from Funky Junk Interiors' Old Sign Stencils. It is perfect for adding a rustic, cabin vibe to anything. I decided I definitely needed to make a buffalo checked bison (or buffalo, although in North America they are bison). I made the sign background with reclaimed barnwood boards. 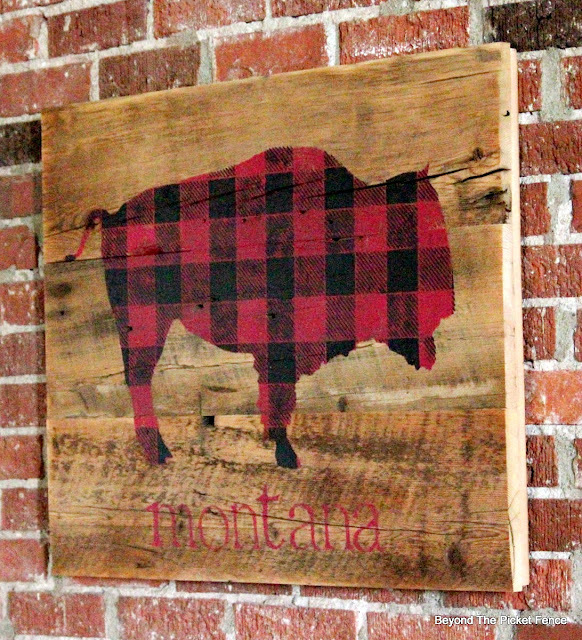 I then used a bison stencil that I made a few years ago. I made the stencil by looking at a bison outline and then drawing it out on a piece of poster board. 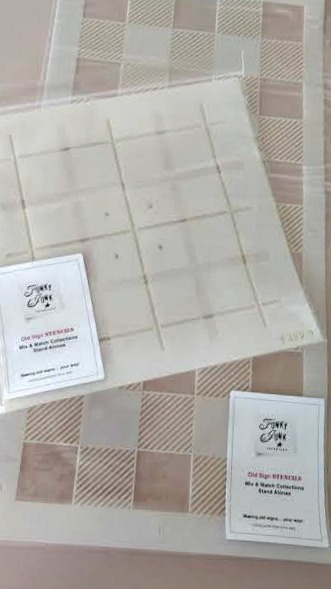 I cover the poster board in contact paper and then use small, detailed scissors to cut it out. After painting the bison and letting it dry, I lay the buffalo check stencil over the bison stencil and paint it with black paint. I also stenciled Montana on the bottom. I have some buffalo check bears and moose in the works as well. 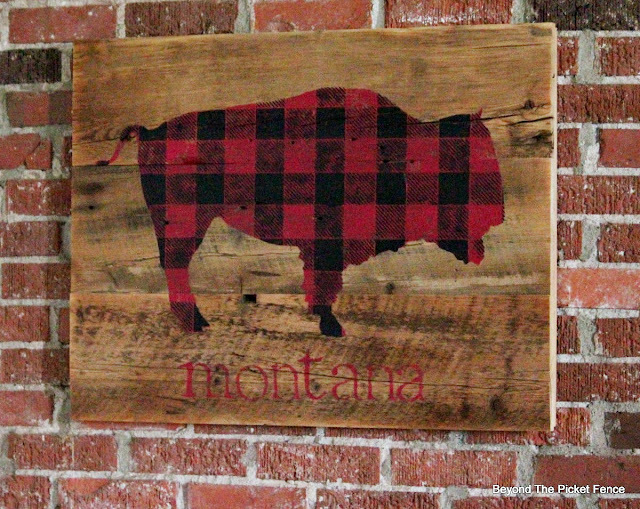 I love the rustic look and will be making some of these buffalo checked signs for Christmas. That is wonderful, Becky...I love the look! What a wonderful use of that stencil! I love it! Thank you! I love this stencil. SO cabin-style! Lovely idea that makes me want to go hike through a national forest!